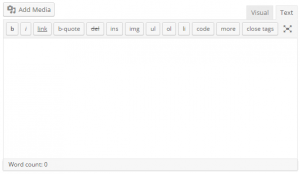 Use this tool to create custom Quicktags for the WordPress text editor. Quicktag 1 ID The html id for the button. Quicktag Display The html value for the button. Starting tag HTML starting tag or a callback function. Ending tag HTML ending tag. Access Key Shortcut access key for the button. 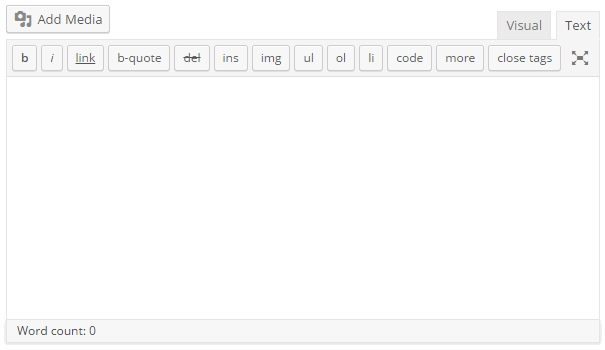 Title The html title value for the button. Priority Button position in the toolbar. Instance Limit the button to a specific instance of quicktags. Quicktag 2 ID The html id for the button. Quicktag 3 ID The html id for the button. Quicktag 4 ID The html id for the button. Quicktag 5 ID The html id for the button.